After finishing college at SMU in Dallas, Scarlett moved to Austin to pursue a Ph.D. in Clinical Psychology at UT. 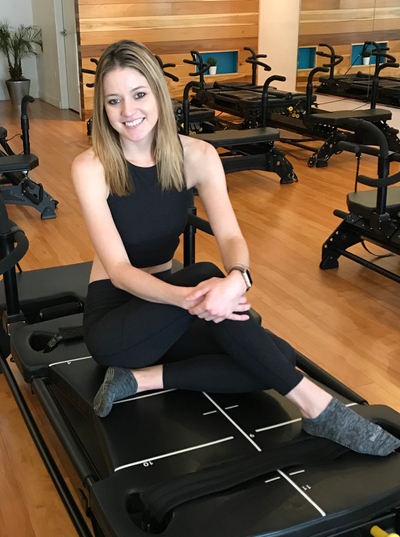 She discovered the Lagree Method at Pure Pilates Austin and was immediately drawn to both the intensity of the workout and the level of support within the Pure community. Scarlett studies the benefits of exercise on a daily basis and thought there was no better way to inspire others to create healthy change than to become a trainer! When she is not in the studio, you can find Scarlett hanging with her pug (Eloise) and cat (Lancelot)- either with her nose in a book or watching football (go Pack go).